Our most sought after rafting trip is back: The Pub and Grub. 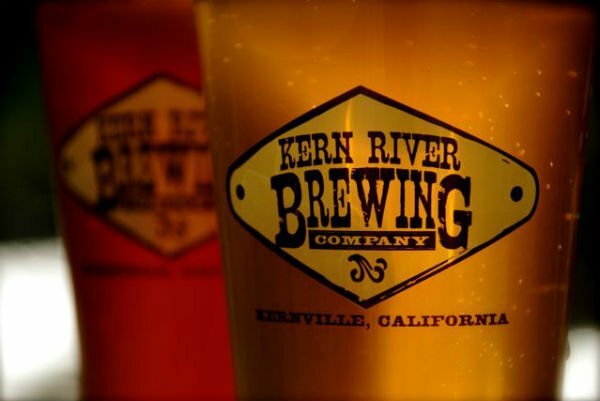 Raft ten miles of outstanding whitewater, and later that evening sample and taste beer from our local brewery, the Kern River Brewing Company. The following morning, raft another 10 miles of outstanding whitewater to take out. This trip is 21+. Trip Packet: Click here to download the Two-Day Lower Kern trip packet. Trip Pack List: A basic pack list is included on the last page of the trip details PDF (linked above). Approximately 20 miles of rafting, split into two full days. Rapids are Class II, III, and IV. 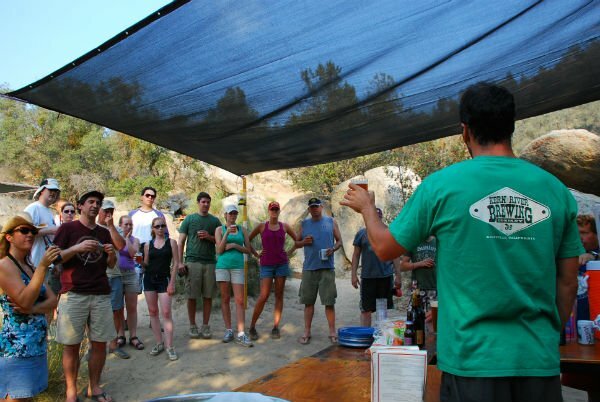 Beer tasting will be held after rafting at our campground. This trip is perfect for physically fit beginners and experienced rafters. Each raft fits 4 – 6 people plus a guide. Please note: All images were taken before the glass ban went into effect. With twenty miles of fun, exciting Class III and IV whitewater, the Two Day Lower Kern is the best overnight rafting trip in California. Our camp is situated right in the middle of the run, breaking up the days perfectly. With our award winning, local brewery, join us for terrific whitewater and outstanding beer tasting on Wednesday, August 9, 2017.